Above is the beautiful Wedding Slideshow that came with Karlee and James’ wedding collection. It was created from a selection of their best photos captured on their special day, mixed to their weddings song Kiss Me by Ed Sheeran. 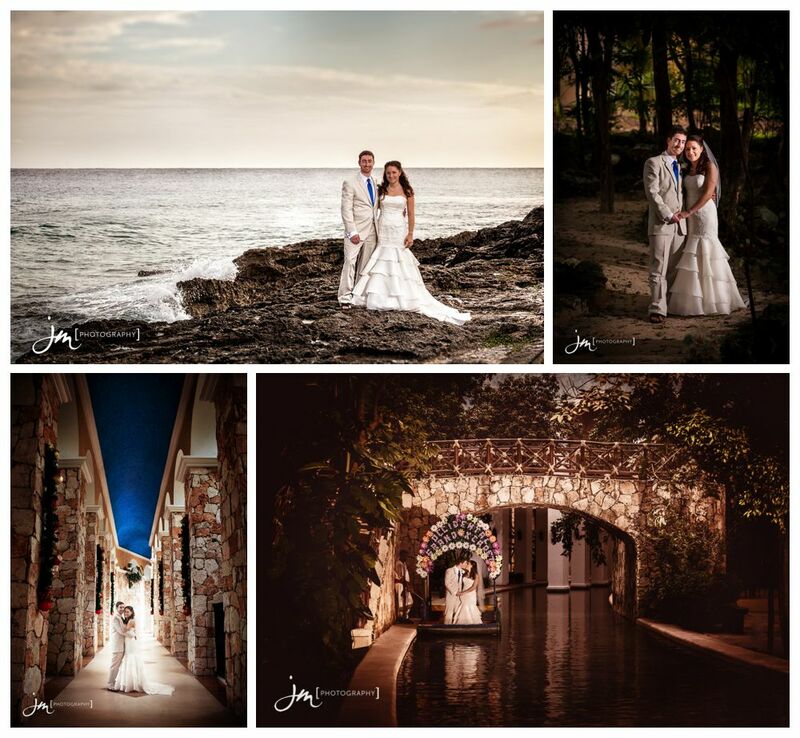 Karlee and James’ held their wedding in Mexico at the beautiful Occidental Grand Xcaret Resort in the Mayan Riviera. After a quick session with the grooms men getting ready we headed off to the brides luxurious Royal Club suite where she was getting ready with her mom and all her girls. While we were there we snapped some awesome pics of her dress, flowers and the girls. My personal favourite shot was the removal of her Saskatchewan Roughriders socks. With the getting ready photos wrapped we were all picked up in a limo golf cart and whisked off to the ocean’s shore where the ceremony was being held. 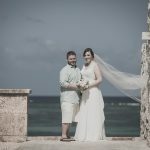 The ceremony was held in the resorts wedding hut that is located at the foot of the Caribbean Sea. As the sun was setting, Karlee’s father accompanied her as she walked down the aisle in her beautiful wedding gown that she found at David’s Bridal and was designed by Melissa Sweet. At the foot of the hut she met her groom James and after a short ceremony their marriage was sealed with a kiss. They were announced to the crowd as Mr. & Mrs. Arsenault and then Luz and her wedding team had fresh champagne ready for all the guests to toast the newly wed couple. With no time to spare and the sun quickly disappearing over the horizon we were off to capture their formals. The first stop was a set of Mayan ruins, something that Tulum is famous for. Ironically enough these particular ruins were dedicated to Ixchel who is the ancient Maya goddess of fertility & healing. The locals at the resort joked that it was the temple where two people would go in and three would come out. At the temple ruins we captured all the group photos and some amazing shots along the ocean shore and then we visited four other locations across the property. The day finished out with a beautiful reception, fantastic food, touching speeches, family photos, and a dance and party that everyone will be talking about for a long time. We are so excited to receive their beautiful demure series wedding album that will become their first family heirloom with it’s classic matte finish and flush style printed pages. These and their other prints will truly be beautiful additions to their home. An online gallery of all their images is available for the next 30 days. From the online gallery you are able to favourite images, order prints and share the gallery with your family and friends. The gallery can be accessed via the link below and you can contact Karlee + James directly for their secure password. I would also like to give a shout out to Karlee’s wedding coordinator Luz and her entire team as they were absolutely fantastic to work with. Luz made sure that our wedding party was on time and where they needed to be for every aspect of the wedding. 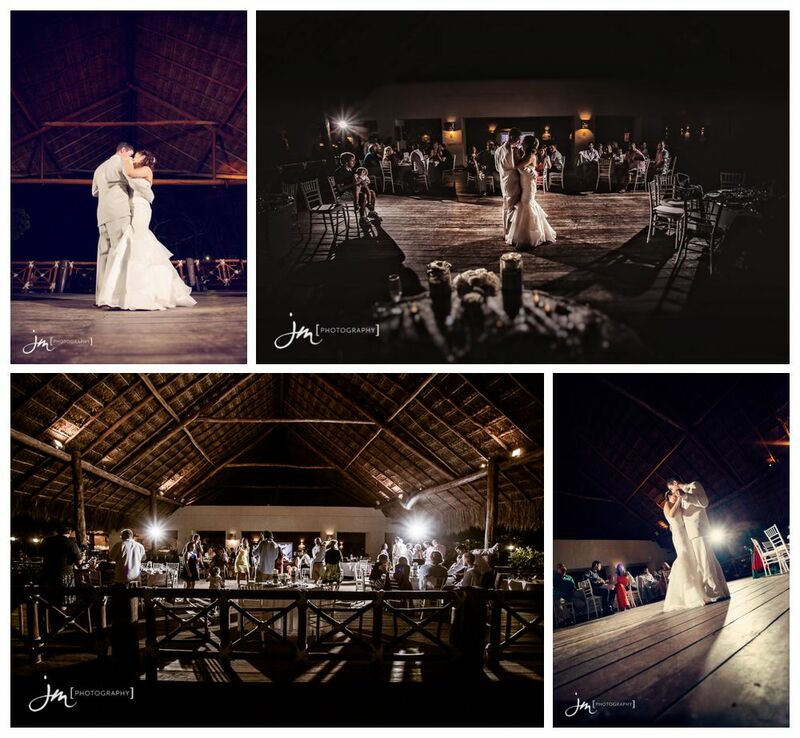 Everything was perfectly planned and their efficiency and accuracy ensured our photography went off without a hitch. Luz also connected us with Luis the manager of “The Ocean Photo”, the resorts onsite photography team. 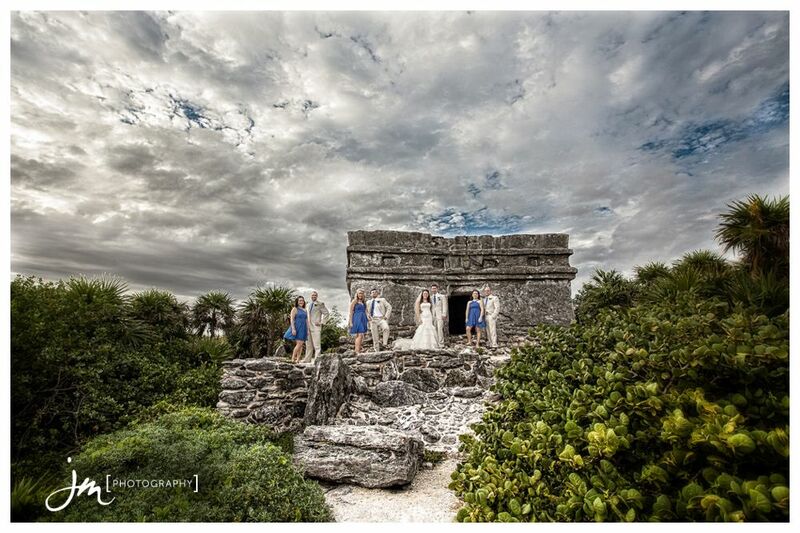 Luis was kind enough to consult with us on where the best onsite locations to photograph the bride and groom were. Both Luz and Luis’ contributions were invaluable and we can’t thank them enough for their help, and professionalism. 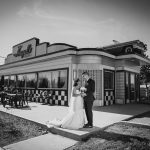 We are so fortunate to have had the opportunity to share Karlee and James’ special day with them and we wish them many years of happiness together. Impressive photos Jeremy. Your passion for what you do definitely shows, great work! Thanks Ryan 🙂 I’m really glad you enjoyed the photos.